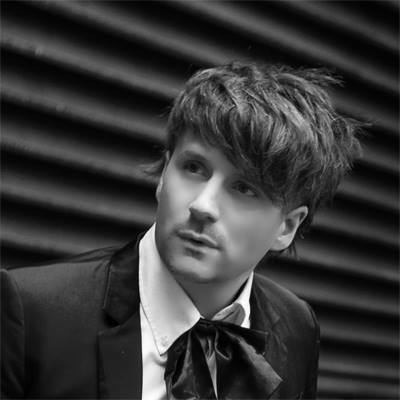 Nathan Cooper, the man behind KID KASIO has been extremely busy of late. As well as basking in the critical acclaim for his impressive second album ‘Sit & Wait’ , the former frontman of THE MODERN has opened a recording complex in Central London with his actor brother Dominic. The air conditioned Fiction Studios includes a 36 track Soundtracs IL 3632 desk, an ambient room and a library area to provide a relaxing writing space. Among the classic synths available for use are a Sequential Circuits Prophet 5, a Korg Poly 800 and a Yamaha DX7. 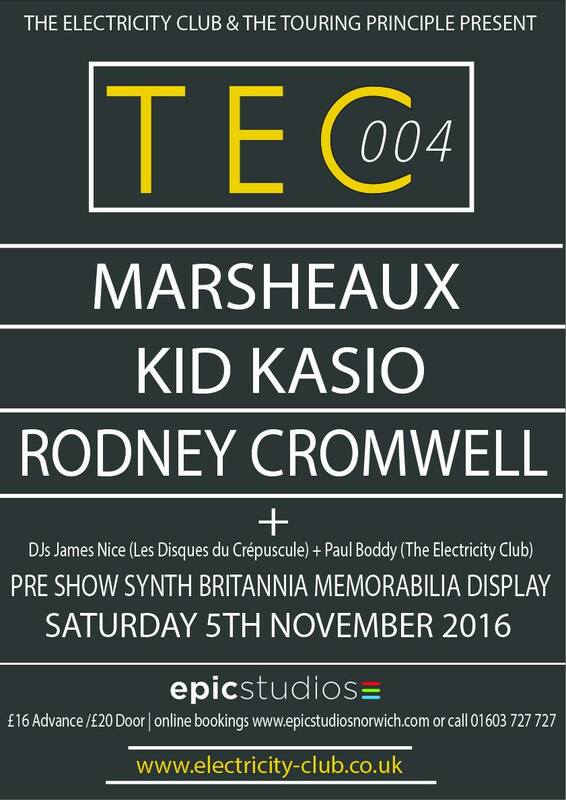 Meanwhile, KID KASIO will be performing at TEC004 alongside MARSHEAUX and RODNEY CROMWELL on SATURDAY 5TH NOVEMBER at Norwich Epic Studios, with a supporting DJ line-up of James Nice from Les Disques du Crépuscule and The Electricity Club’s very own Paul Boddy. Now you’ve had some distance, how do you think the ‘Sit & Wait’ album has been received? Everyone who’s heard it seems to like it. The problem is, I don’t think many people have heard it. That’s the issue I have. I know that the songs are catchy and could appeal to a wide audience, but the vast majority of the population won’t ever hear it. We seem to be drowning in this sea of music, the bulk of which is mediocre, and this is ruining it for the people who are actually creating something decent. I can’t seem to get my head above the parapet in an ocean of people who think its ok to throw a beat down and then release it to the world on Soundcloud. When I started out making music in my teens in the late 80s and early 90s, you had to have a certain amount of stamina and steely ambition to succeed in music. I’d practice hard with my band five nights a week. We’d go round London pasting our own posters up in the middle of the night. Then we’d be organising our own gigs and invite record companies until we finally got management. Then there’d be the huge costs involved with hiring a professional recording studio so we could make a decent sounding demo. We got to that stage because we were good. None of that would have happened if we’d been sh*t. We would have fallen at the first hurdle. Now it seems anyone can make music, literally anyone can turn on a laptop and make it sound half decent and professional and then load it onto Soundcloud. They can effectively skip all the hurdles. None of the steps that used to sort the wheat from the chaff exist anymore, it’s just boom! And it’s out there for the world to hear. I despise Soundcloud more than anything else. Who ever thought it was a good idea to look at the waveform of a piece of music?? It’s completely counter intuitive to how we should enjoy music. It completely ruins the enjoyment of a song knowing where the drops and the builds are before they’ve happened. I just don’t get it. Anyway, in answer to your question I’m pleased with the response for the album, but I’ve also got to be realistic. It’s not going to set the charts alight which is a shame, but I had fun making it and that’s what counts and that’s why I do it. ‘Sit & Wait’ seems more relaxed and benefits from that stance? I guess when I made the first album I had more to prove. I’d just left THE MODERN and felt like I had to validate myself, to show I could do it alone. I’d spent so many years in bands never really being able to follow my musical vision 100 percent without certain levels of compromise. It was like “Yeah here I am! 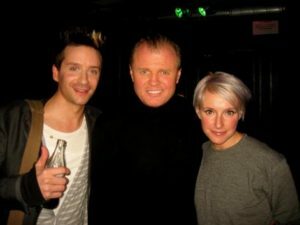 And yes I like HOWARD JONES! So f***ing what! And yeah I think NIK KERSHAW has a ton of better songs than JOY DIVISION! And yeah I actually think Stock Aitken and Watermen were good producers and songwriters! Put that in your f***ing pipe and smoke it!”, that’s actually what my whole first album was screaming. I think I was just very angry, and making the whole album was a kind of purgative experience that I had to do. By the second album I’d calmed down a lot, I just took my time with it. There’s a lot more collaborations on ‘Sit & Wait’ which is maybe what gives it a more relaxed feel. I’m probably the least relaxed person in the world so I think the energy of another person can help take off some of my neurotic edge maybe!! 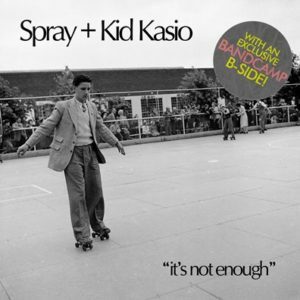 In hindsight, your debut album ‘Kasiotone’ almost feels like you may have been trying too hard? 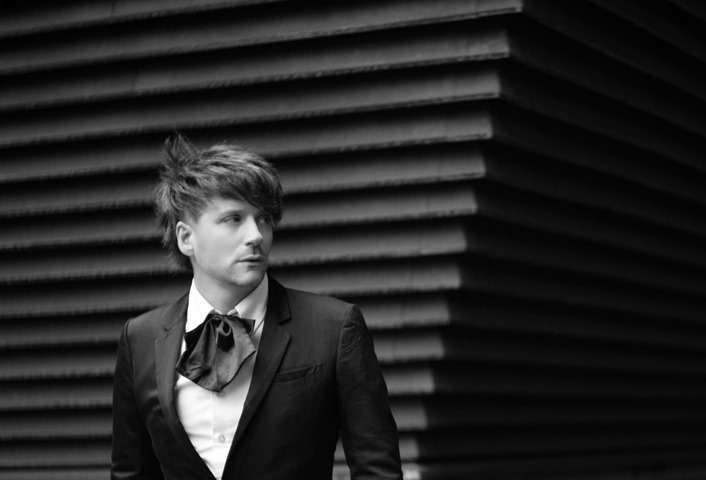 I’ve not thought too much about this before but now you mention it, when I was making my first album between 2008-2011, I was quite keen to be involved in that wave of Synthpop that was emerging at the time with LA ROUX and FRANKMUSIK. By the time I’d started making ‘Sit & Wait’ in 2013, I didn’t feel like there was a particular bandwagon existing for me to jump on, so I was just doing stuff more instinctively and from the heart. I guess that comes over as being more true to myself, and perhaps more relaxed with who I am. There was a ton of Autotune on my first album too, which I think in hindsight can make things sound a bit less natural and more forced sometimes. Why thank you! It came about in a kind of round about way that one. 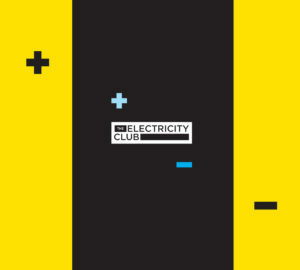 A friend of mine, Chris Smith (who’s part of THE MANHATTAN CLIQUE who’d done some remixes for, and managed THE MODERN), emailed me and said I should do a cover of the DEPECHE MODE song ‘Two Minute Warning’. I’ve really no idea why he suggested it, but I listened to the song and thought maybe if I did, that they’d remix my album for me or something! It really was just an experiment in self-promotion. I just did it in the hope I’d get something out of it! I’m utterly ashamed to say I wasn’t that familiar with the song, but it instantly appealed to me because, although I thought the arrangement was fantastic, I kind of felt like it certainly wasn’t one of their best songs, and I only like to attempt a cover if I think I can improve on it in some way. Anyway I started by copying it exactly, and then kind of started writing my own song over the top. A lot of my songs begin that way, where I’ll start by replicating something and then gradually manipulate it until it becomes my own. Unfortunately with that one it still retained a lot of the original DM flavour. To the point where I really ought to speak to Alan Wilder who penned that one! I’ll give him 50 percent when it goes straight in at number one! I’m working on a track at the moment, which began by emulating ZARA LARSSON’s ‘Lush Life’ (which I love by the way!). The thing is, after I’ve had my way with it, its ended up sounding more like ‘Cruel Summer’ by BANANARAMA! That’s the hand of KID KASIO at work! Another highlight from ‘Sit & Wait’ is ‘One Chance’, what’s the story behind that one? That was written with a friend of mine Liam Hansell. We’d actually met up one afternoon to write the poppiest song we could. That was the intention. We had some crazy notion we could sell it to a boy band or something, this thing was literally going to be our pension plan. I wouldn’t normally recommend starting a session with such lofty ambitions. But it was working out ok and I think about halfway through recording, I felt like I wanted it for KID KASIO and it was too good to give to anyone else. The song was actually about Paul Potts and the whole X Factor/ Simon Cowell machine. It’s about someone auditioning and how they pin their whole life on this one moment. The infuriating thing was, about six months after we wrote it, James Corden, who I’ve met several times on account of him being best friends with my brother, starred in a film playing the character of Paul Potts!!! And guess what the film was called? ‘One Chance’!! We were absolutely gutted! I’m absolutely positive if I’d told my brother about the song, he could’ve played it to James, whom he was flatmates with at the time, and we could’ve got it in the film. It would’ve been absolutely perfect for it. Liam and I wrote another song together on the album which was called ‘Human Beings’. The original lyric I came up with in the studio was “We’re just European”, but we changed it to “We’re just Human Beings” although looking back now, I think with the original lyric, it could have been some kind of Anti-Brexit anthem! You’ve continued your working relationship with Ricardo Autobahn and collaborated on the track ‘It’s Not Enough’ for SPRAY’s album ‘Enforced Fun’. Are there any other artists you would be interested in collaborating with in the future? I can’t help but collaborate with Ricardo. He’ll send me something and for some reason it will just immediately inspire me. He sent me ‘It’s Not Enough’ and wanted me to sing a bit of it. I tried but it was quite wordy, and I’m all lispy and can’t get my words out, so I kind of simplified it a bit. I felt a bit cheeky sending it back and saying “I’ve sung it but I kind of changed a few words, and the melody a little bit, oh and can you change the key as well”, but he was gracious as always. I don’t really have a list of people I’d like to work with. I’m such an anxious person, the thought of working with someone famous and successful just fills me with such fear and dread I just couldn’t do it. I think I’d prefer to work with someone new and up and coming so I could be the nurturing one. The old sage in the corner, offering my tuppence worth. There’s a few new artists I like, but in general I’m just more of a song addict. There’s not one album on my iPod. I just listen to singles from the Top 20 – 1978 to 2016. I have to absolutely adore a band to venture into their album tracks. That’s reserved for DURAN DURAN, JAPAN and a small handful of others. In terms of new music, I just tend to go online and scour the different countries in Europe for what’s coming up in the charts. Having said that, there are certain producers I’d love to work with, Trevor Horn obviously, and I’m always intrigued to see how Max Martin worked. 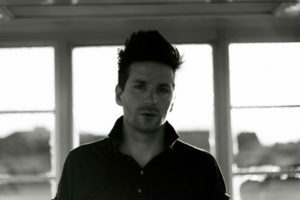 I’ve been such a fan of his ever since I spied his name on the back of a Euro dance CD I bought in France in about 1994. Even then, I knew there was something really special about his writing. I’d bore people to death about his band E-TYPE. Now he’s the biggest songwriter in the world! You’ve opened a new recording facility Fiction Studios in Central London with your brother, what brought this about? We’d both been keen to do it for ages. In fact he’d been bugging me about it for about two years, and I was really reluctant to give up my home studio. There’d been an incident while I was producing a track for the film ‘Miss You Already’ when the star Toni Colette had to come into my studio to sing some vocals. The problem was, myself and my writing partner Benjamin Todd had kind of augmented our credentials, shall we say, with the intention of getting the gig. We’d delivered on it in terms of what we’d put forward, but we knew our cover would be blown if she’d walked into my little flat in SE London and seen my studio in the corner of my bedroom!! It just wasn’t very Hollywood. I guess that was the turning point for me. I’ve been there everyday since the 1st of January, wiring up mixing desks, painting, laying carpet, It was really somewhere I could put my own stamp on. Carpet everywhere!! I’m obsessed with carpet! Don’t invite me into your home if you don’t have carpet. I’ll just walk out again, I love carpet. It must be something to do with acoustics. I’ve even got carpet in my kitchen and bathroom! I also spent days attaching velvet drapes to the ceiling! I bought so much velvet from ‘Rolls & Rems’ in Lewisham, I’m sure they think I’m opening a harem or something. The thing about the space that really attracted me right from the start were the books. The owners of the space had built a kind of film set of an old library in the corner with fake brickwork on the walls, fake piping going into a fake boiler in the corner, there’s even a fake staircase going nowhere! And lots of books, literally thousands of them. They had intended to film a ‘Jackanory’ type thing down there, but the project had stalled. I just took one look and said this would be perfect! So you had this incredible ‘Harry Potter’ style film set in one corner but the rest of the room was in bad shape, it was just a store room really, so that’s where I got into Laurence Llewelyn Bowen mode. The interior design paid off though because we invited Roland to come and have a look and as soon as they walked in, they said they would give us whatever we wanted as long as they could film in there every now and again. I’m hoping the studio can offer a creative space to musicians in the heart of London where there’s not really that much else around. It’s all very exciting. You have a nice collection of synths of various vintages. What do you have and are there any interesting stories about any these? Yeah I have a bit of a collection but there’s still plenty more I want! Obviously the collection won’t be complete without a Jupiter 8 and Oberheim OBX-a, but these things seem to be sky rocketing in price. I remember going to Thornton Heath to buy an SH101 for £80 from someone in Loot and thinking that was a bit expensive, so I bought some chips on the way and only gave him £79!!! My Juno 60 is like an old friend. My original one was purchased, again through Loot, in 1989 for about £150. In 1992, we were recording in the same studio as JESUS JONES, this grotty place on Commercial Road which isn’t there any more called Ezee Studios with a producer called Nick Tauber who’d produced TOYAH and MARILLION. I left the Juno there, thinking we’d be back the following week to finish the recording, and we didn’t return for about a year. On our return no-one knew where the Juno was! I still check the underside of every Juno I ever come across in the hope I’ll see my 14 year old etchings on the bottom: “Nathan Cooper, Belmont Hill Lewisham SE13”!! Anyway I gave up hope of ever finding it, and bought a new one in about 1994. It’s still with me to this day.It’s literally never gone wrong. It’s just the best synth ever. Myself and childhood friend Gabriel Prokofiev were in a band together, and were both massive fans of the first DURAN DURAN album. He bought his in about 1991 and a few years later, because I was renting a studio space from him in Hackney, I sneaked it off him and stashed it away in my studio for a long time until he wanted it back. By the time I returned it to him, it was too late for me, I knew there was absolutely no way I could live without one. I was a Crumar addict!! It really is the most special sounding thing you’ve ever heard. It does a brass sound which is appalling, but those strings are to die for. I met Mark Ronson back stage at a Duran gig a couple of years ago and had a good chat with him about it. He’s even named a song on his first album after it! 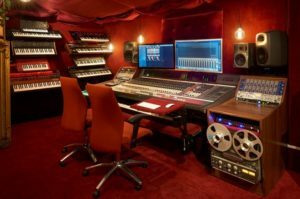 The studio has plenty to offer to musicians of all persuasions… what facilities does Fiction Studios have to tackle that tricky issue of recording live drums for example? We did our first session with live drums the other day, which I was dreading, but it turned out brilliantly. Fortunately we’ve got a massive collection of good mics and I was able to play around until I got a really good sound that the drummer and the client were really happy with. We ended up recording in an area of the studio which isn’t carpeted and has a little more of a live sound. Obviously if I had my way, every drummer in the world would just use a DMX drum machine or play a Simmons kit (both of which we also offer!). But I realise to make this venture work, we have to cater for all styles of music. Actually I’ve got to say, the live drums sounded so good, I may be using some on my next album. With lots of gated reverb obviously! 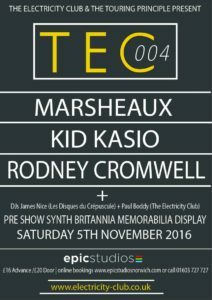 You’re playing TEC004 with MARSHEAUX and RODNEY CROMWELL at Norwich Epic Studios in November, are you planning anything particularly for that show? I don’t think I’ve ever been so excited about a gig. We were all on such a high after the iSynth Festival in Lille back in May that we literally can’t wait for this. There’ll be lots of new songs from the ‘Sit & Wait’ album and definitely some serious keytar action. I’m thinking of resurrecting my ‘Brookside’ theme tune show opener! Last time I played it, none of the rest of my band knew what it was!! They thought it was a tune I’d composed. It was only a few months later that my drummer called me up and said “they just played your tune on the telly, it was on a programme about 1982”, I said “were they talking about something called ‘Brookside’ by any chance?”. 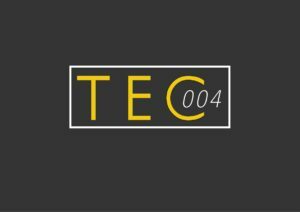 Will the yellow Simmons drum kit be coming along to TEC004 with you? Of course!! I retired the Simmons kick drum for the last gig in France because we were travelling in a tiny Ford Fiesta, but I’m hoping we’ll have something a bit more roomy for this gig so the whole kit can come along. 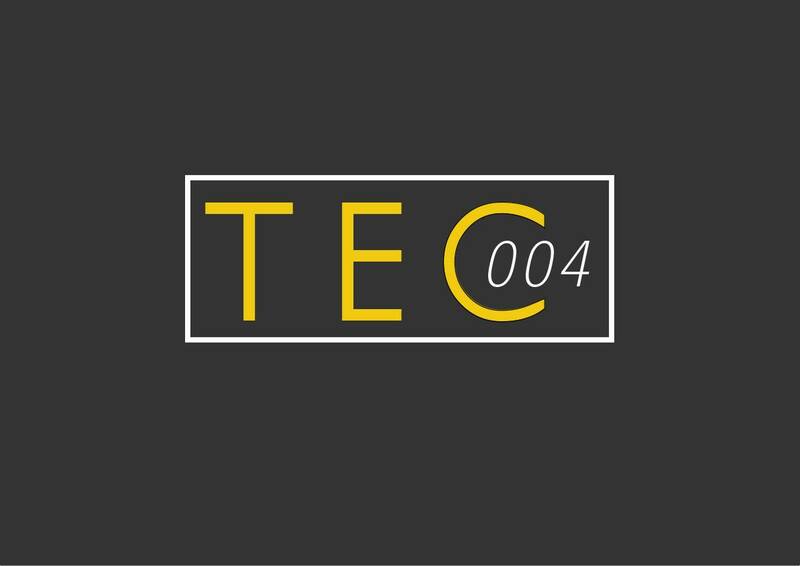 Synthpop is been going through a tricky period domestically at the moment, although CHRVCHES seem to be our saviours of synthpop. You’ve been in the music business a while, why do you think they succeeded while say, MIRRORS didn’t? I think MIRRORS were fantastic and I think they befell a similar fate as THE MODERN. They didn’t have timing on their side and they suffered from a distinct lack of serendipity. The business is all about luck. It’s almost impossible to sustain a band at that semi-professional level. That point where things are teetering on the edge of full blown success. Every decision you make is so loaded. It becomes make or break at every juncture and it’s impossible to continue a creative relationship in that kind of environment, it’s too destructive, the band will eventually implode. It’s fine at the other end of the scale, if you have no success. If you’re a few mates rehearsing in your garage living in a constant state of expectation and hope you can go on for years like that. I certainly have! It’s the same if you’re super successful, if everything’s going well that’s just fine. The problems come with that in-between stage; it’s that ‘almost ran’ situation that’s impossible to sustain. CHRVCHES are great, I thought their Glasto set was excellent. I thought YEARS & YEARS were great too. While I don’t think it’s a particularly golden age for synthpop, I think there’s a general synth sheen to pop music at the moment, that isn’t a bad thing. It could be worse, it could be the bloody 90s! What’s next for KID KASIO? Fiction Studios has taken over everything for the last few months but now I’m back on track. I’m already planning the next video for the next single later in the year, possibly the last release from the album, we’ll see. I’m constantly writing, that’s the key. I’m mainly writing for other people, but I often come up with something and go “that’s a bit KID KASIO” and keep it for myself!